Massapequa, New York, USA. August 5, 2018. 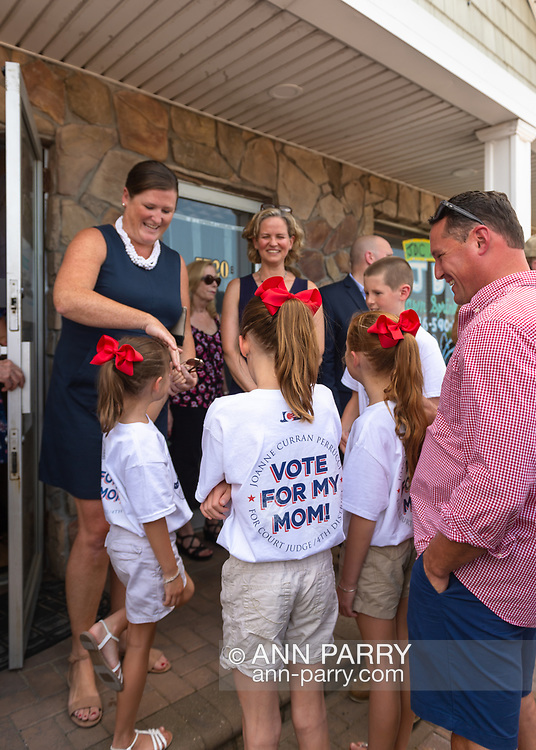 L-R, JOANNE CURRAN PERRUCCI, candidate for Court Judge 4th District; and LAURA CURRAN, Nasssau County Executive, are smiling with Perrucci's four children, at opening of fellow Democrats' campaign office, aiming for a Democratic Blue Wave in November midterm elections.